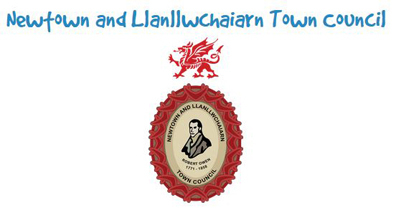 Montgomery Town Council consists of a team of innovative councillors who embrace the latest in technology with the best interests of the community & local businesses. G17 provides a number of services to the council, from online booking systems and ticket sales to public WIFI access & promotional photography services. G17 was delighted to win the contract to install from scratch an I.T infrastructure including PABX services at best cost. With no current I.T infrastructure, G17 provided all elements of the installation which included full feature PABX services, networked components, including printing, cabling, remote access, backups, off site backups and security. 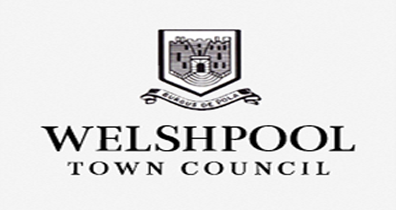 Ongoing support, training and documentation meaning Newtown Council can self-administer their own infrastructure. G17 provides Anderson Apparel a PAT testing service. With a range of sewing machines, heat irons, steamers, office equipment including hoovers, kettles, hand dryers etc. Replacing an older website designed in 2009, G17 provided the WCC with a modern, clean looking website to detail what the club gets up to, present in the highest quality members images and also provided a remotely updatable calendar to display programme events, maps to activities and event details. 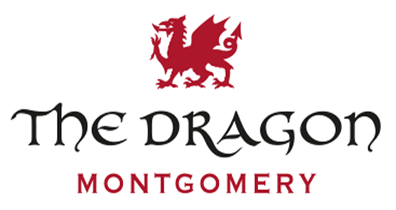 The Dragon Hotel in Montgomery asked G17 to look at improving the internal WIFI network as the current system was unreliable as the connections went through mains networking adaptors. G17 carried out a survey and suggested a start from scratch installation. G17 diagnosed the performance of the current system and found poor performance as a result of dirty mains causing drop outs on the network adaptors. The replacement PoE AP's are now providing 100% reliability - G17 has also installed a full CCTV system and is currently putting together a full PABX replacement spec. 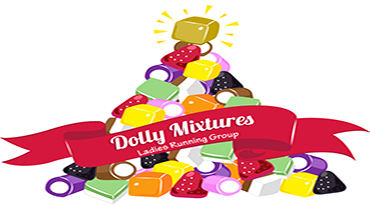 The Dolly Mixtures running group required a new website that could be updated by various running leaders and a design to complement their own branding. G17 recommended a WordPress based site using G17 modular design framework to make updates and design changes easy for the various leaders who would be required to make the updates. G17 also suggested as this would be a multiuser site to incorporate SSL security. Winsbury Farm need to get their milking parlour I.T equipment connected to the internet as a matter of urgency so they can upload logs and other cattle data. As the Parlour was some distance away from any internet connection G17 suggested a WIFI bridged network. Wireless bridges (And other connecting protocols) can connect sites up to some 5Km away. All that is required is power at both ends. 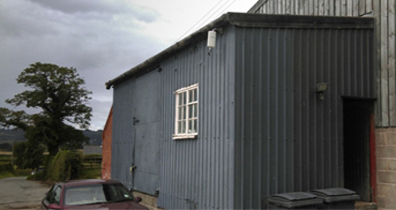 Using PoE wireless devices G17 created a secure virtual wire between two building allowing the farmers I.T equipment to connect to the internet over a 150Mb/s connection. 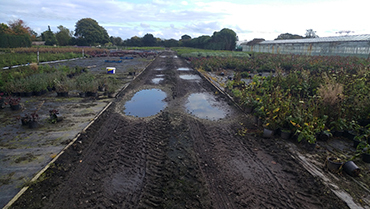 Fourcrosses Nursery need a new server to run their stock taking software. 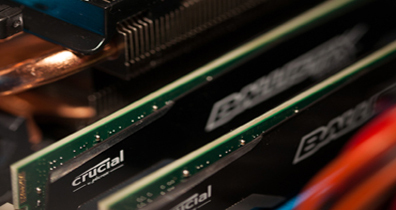 With strict specification on the build of the server from the software supplier, G17 worked closely with the suppliers, based in the Netherlands, to ensure the Server worked with their software. G17 also provided a full backup server, wireless networking and currently on the go, WIFI access across Nursery installations. Big Beast called G17 in to look at their recently installed VoIP PBX and wireless network as they were having problems with calls and wireless connectivity. The VoIP PBX installation was not really suited to the customers broadband service, with only around 3Mb/s broadband, any PC's working online with remote backups would eat up bandwidth causing the VoIP calls to drop. There was also a problem caused by the electrical 3 phase installation. When 3 phase equipment was turned on the wireless and VoIP service got worse. Adding a mains filter to the wireless and VoIP outlets resolved this problem. Montgomery Vets had a problem with slow running PC's. G17 performed a survey and as these PC's were over 5 years old, mostly small form factor with no upgrade path, G17 suggested these be replaced. A full spec on replacement was accepted. G17 implemented a full workstation replacement including backing up and restoring vet related applications that accessed a local Windows Server unit. Along with office accounting software the installation was completed in a day. 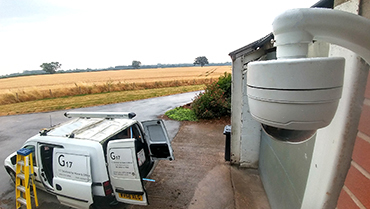 G17 has also provided a WIFI network and CCTV repair on remote sites. 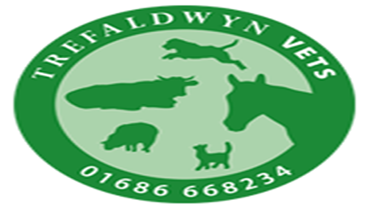 We also provide the Vets with ongoing support on various devices. 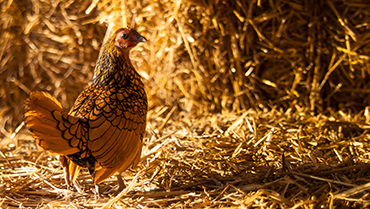 Richard has a lot of chickens - he just about knows every chicken he has on site, he loves his chickens and his work. Richard had an ageing CCTV system that was creaking at the seams and his remote access to the system had stopped working. Richard also wanted to install more cameras so he could view and adjust the belt tray speed dependant on egg volumes. G17 surveyed his current setup. The CCTV unit was end of life but we could provide a new unit that would work with his existing cameras plus have room to install the new ones richard required and add more in the future. Richard and his chickens are now working and producing viewable eggs and when Richard is putting his feet up on a beech somewhere, he can still see his chickens. 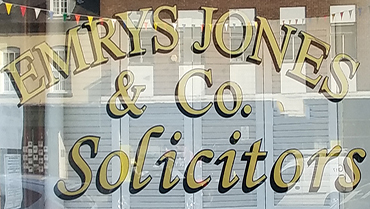 Emrys Jones needed a new computer network. Theirs’s was failing and causing staff frustration every time they wanted to print and backup files to the server. G17 came in and carried out a survey and recommended a complete replacement using CAT 6 cabling due to the long and complex runs. This was accepted and along with this G17 installed Gb network devices. G17 liaised with database administrators on changeover dates to ensure a successful migration. Along with newly installed cabling, G17 carried out all work out of hours to ensure no disruption to office staff who required minimal disruptions while working with Dictaphones.